A unique coin amulet that may well change your life. 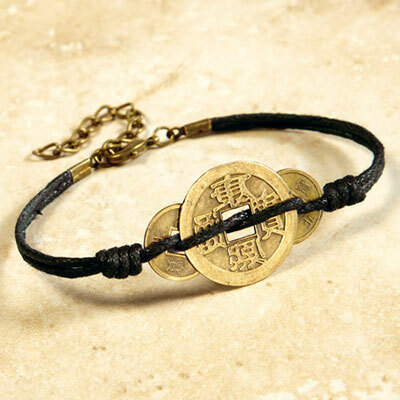 Wearing these Chinese replica antique coins strung on a black chord helps attract prosperity, energizes good luck and brings positive things into your life! Our striking Lucky Coin Amulet Bracelet features antique coins that represent the powerful union of heaven and earth, yin and yang energies. Bracelet is 7½" long with a 2" extender.